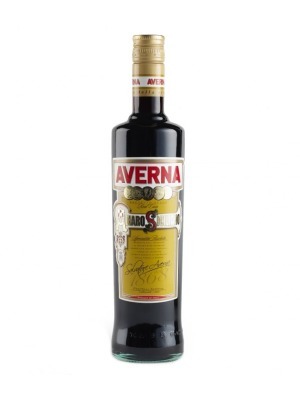 Amaro Averna Liqueur is a popular Liqueurs available from DrinkSupermarket.com in 70cl to buy online. Visit DrinkSupermarket.com for the best price for 70cl of Amaro Averna Liqueur or compare prices on our other Liqueurs products. Following the same recipe handed down over the generations since 1854, Averna has become Italy's leading premium bitter liqueur. Made from a recipe of herbs, fruits and roots. It has an intense aroma of Mediterranean herbs, citrus fruits, with a complex flavour and fine balance of sweet and bitter. Serve with Chocolate, Ice creams and Fruit-based desserts. Where to buy Amaro Averna Liqueur ? Amaro Averna Liqueur Supermarkets & Stockists. You can buy Amaro Averna Liqueur online in most retailers and find it in the Liqueurs aisle in supermarkets but we found the best deals online for Amaro Averna Liqueur in DrinkSupermarket.com, TheDrinkShop, and others. Compare the current price of Amaro Averna Liqueur in 70cl size in the table of offers below. Simply click on the button to order Amaro Averna Liqueur online now.